When you live in Texas, a functional air conditioner isn’t a luxury, it’s a necessity. At Lightfoot Mechanical, we understand that nothing is worse than a broken-down AC on the hottest day of the summer, and we are here to lend a hand when you need air conditioning repair in Crowley, TX, and the surrounding areas. Whether it’s a minor problem like a strange noise or a potentially dangerous situation like a system that has failed completely on a hot summer day, our team is always here to help. 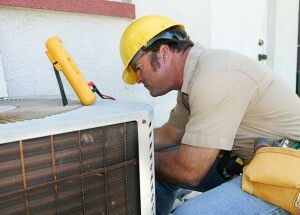 If your air conditioner’s performance changes in any way, it is best to have the system inspected and repaired by a licensed HVAC technician. Even seemingly minor problems can develop into more serious ones that could leave you without air conditioning when you need it most. When you need professional air conditioning repair in Crowley, TX, depend on the experts right here at Lightfoot Mechanical. Call now to schedule an appointment.